Hajj is the journey of a lifetime. Most people are able to perform Hajj only once, so it is of the utmost importance that you thoroughly learn its methods and reality before embarking. The Messenger of Allah, peace and blessings be upon Him, said ‘The accepted Hajj has no reward but Paradise’ (Ahmad). 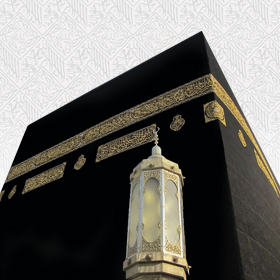 This intensive Hajj course will introduce you to the significance and beauty of Hajj and its various rites, allowing you have a better understanding of why you are going and what you should strive to achieve from the experience. The course covers the essentials of Hajj with a practical step by step guide, allowing you to be mentally, spiritually and practically prepared for the journey. The virtues & wisdoms of Hajj. Upon whom the sacred pilgrimage is compulsory. The Ihram and the prohibitions whilst in it and the penalties for violating it. A step by step study of obligations in accordance to the Sunnah of the Prophet (peace and blessings be upon Him). Every Muslim dreams of their Hajj as a spiritually fulfilling journey which purifies the heart, body & soul, filling them with great Imaan and tranquillity. This course will enable you to try and achieve this goal by embedding a deeper understanding of Hajj and the rites and rituals encompassing it. Whether you will be performing Hajj this year or have intentions to go soon, this course will allow you to gain the optimal experience, practical advice and maximum spiritual upliftment in preparation for the most life changing journey you will embark on in sha Allah.